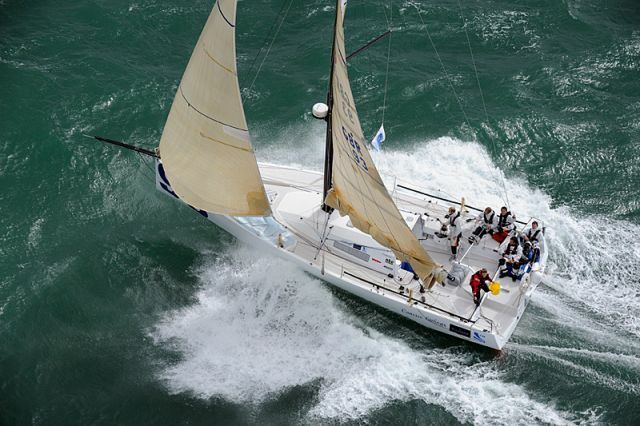 In 2010 two competitors established two new World Records. 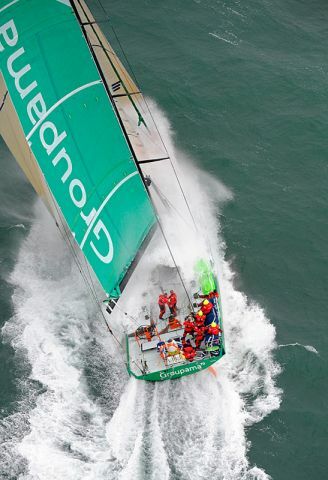 Groupama 70 and Concise 2 both enjoyed a fast and furious race, smashing the Monohull and 40ft Category records respectively for sailing around Britain and Ireland, both records ratified by the John Reed of the WSSR Council. 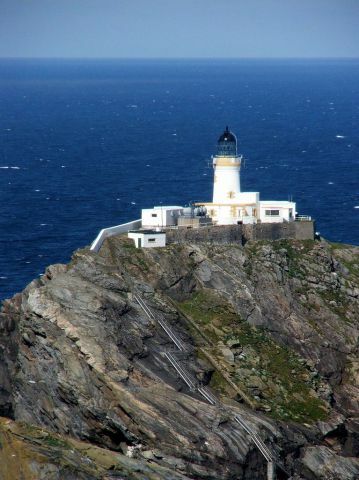 The most northerly point on the course, the island and lighthosue of Muckle Flugga is a higher latitude north than Cape Horn is south by roughly 300 nm! Legend has it that Muckle Flugga, and other outlying islands, were formed by two giants fighting over the love of a mermaid. They threw giant rocks at each other, which became the small islands. There isn’t a happy ending as the mermaid, fed up with them both, said she would marry whoever could follow her to the North Pole; as they stumbled after her into the sea they both drowned! The lighthouse was built over 150 years ago and first lit on New Year’s Day 1858 to protect the ships durnig the Crimean War. Whilst it was manned the island was also the northernmost inhabited island, but was automated in 1995, losing its title. The name ‘Muckle Flugga’ was only officially used from 1964; before then it was known as North Unst! Robert Louis Stevenson visited the island on 18 June 1869 and there are many who consider this to be inspiration for his classic book, Treasure Island.